We have three pick up locations; Financial District, Jersey City, and Brooklyn Heights. 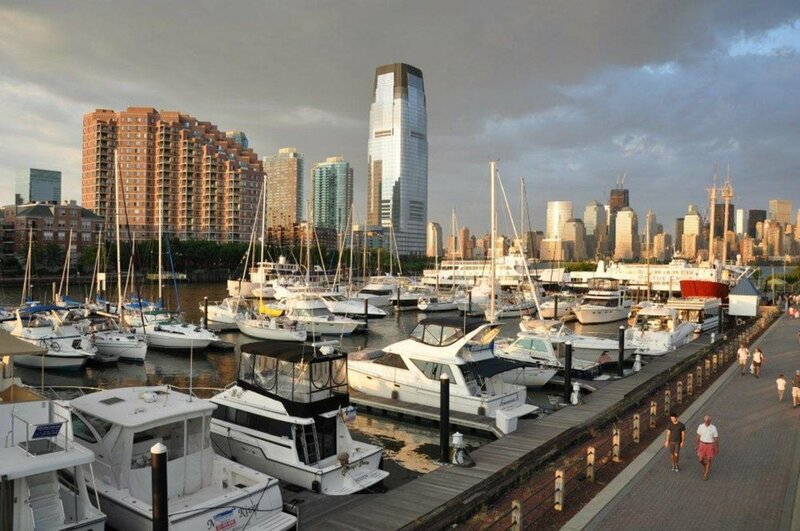 The easiest and most affordable way to sail is from our home port, Liberty Landing Marina in Jersey City, New Jersey. It’s just across the Hudson River from the financial district in Manhattan. The best way to get to us is via the Liberty Landing Ferry. The ferry leaves Manhattan every 30 minutes and arrives at our Marina in less than 15 minutes. The ferry costs $7 per person, each way and is a reliable, fast, and enjoyable way to get to us. Board the Liberty Landing Ferry at the World Financial Center (Close to the 9/11 Memorial) and get off at the 2nd stop, Liberty Landing Marina. Click here for the latest ferry info and schedule.